Our founding donor, Herbert Bearman, was born in 1913 in Baltimore, Maryland to immigrant parents of Eastern European heritage. After graduation from Baltimore City College, Herb joined his older brother and uncles in the family business, H.L.Hartz and Sons, a manufacturer of men’s clothing begun by his grandfather. Herb served in both Alaska and the Philippines during World War II and was discharged with the rank of Major. A multifaceted individual, Herb was a former weightlifting champion and a brilliant man endowed with a keen and incisive mind. His uncanny ability to foresee the future in varying economic and political times led him to legendary success as an investor. Herb preferred a rather simple life devoted to friends and family and was a pious and observant Jew. Following a life of philanthropy, he established the Herbert Bearman Foundation just prior to his death in 2002 to provide a resource for continued charitable giving. 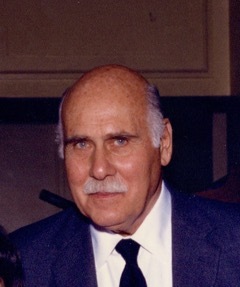 Dr. Sheldon Bearman served as President of the Medical Staff of Franklin Square Hospital in Baltimore County, Chairman of the Department of Radiology of Northwest Hospital Center, President of the Baltimore County Medical Society, and Treasurer of the Maryland Medical and Chirurgical Faculty. Trained in radiology at Johns Hopkins University and a Fellow of the American College of Radiology, Dr. Bearman served on the boards of the Cystic Fibrosis Foundation, Beth El Congregation, the Maryland State Medical Society, Jewish Family and Children Services in West Palm Beach, Friends of the Israel Defense Forces, Jewish Community Services in Baltimore, the South Florida Donors Forum, and the Miami City Ballet. He currently serves on the boards of The Israel Project, Jewish Museum of Maryland, and Hands Across the Americas. Dr. Arlene Bearman earned Bachelor and Masters degrees in Economics from George Washington University and a Ph.D. in Economics from the University of Oklahoma. She served as Chair of the Administrative Sciences Program at the University of Maryland, Baltimore County Campus (UMBC) for almost 25 years and was a member of the faculty of the Economics Department. She retired as Emeritus Director of Administrative Sciences at UMBC and was awarded the prestigious Governor’s Citation for her contributions to the State of Maryland. Dr. Bearman is past Chair of the Shoshana S. Cardin School and is involved with Women’s giving Circles including the Jewish Women’s Giving Circle of Baltimore and the Jewish Women’s Foundation of Palm Beach, and the Baltimore Women’s Giving Circle. She is Chair Emeritus of the Board of The Israel Project and has served on the boards of TurnAround, Inc. and Beth El Congregation of Baltimore. Additionally, she was Vice President of the Lansdowne Magnet School in Finance. Mark Bearman graduated from Lynn University in Boca Raton, Florida with a Bachelor’s Degree in Hotel, Restaurant Management and Casino Gaming. Mark worked as a chef in Florida before returning to Baltimore to take position as a Nutritionist for Harford County Public School System. . Initiatives which educate and cultivate healthy lifestyles resonate with him as a result of his professional and personal experiences. He currently serves on the boards of The Associated: Jewish Community Federation of Baltimore and The Cystic Fibrosis Foundation. He has also served on the board of the National Aquarium in Baltimore. An accomplished drummer, his passion for music and his musical background have been instrumental in his quest to develop music based community projects.